FRONTLINE continues its commitment to transparency with an interactive version of "Trump's Takeover." Journalism has a trust problem. Fewer than half of Americans say they can name a news organization that they think reports objectively. And, despite an abundance of news sources, most Americans say it’s becoming harder to stay informed. This is a problem not just for journalism – it’s a problem for democracy. Rebuilding trust is a daunting task. At FRONTLINE, we believe one way to approach this challenge is by doubling down on transparency — opening up our reporting, and making the source material that goes into building our journalism not just available, but easily navigable and sharable. That’s why we’re so pleased to share with you the newest installment of FRONTLINE’s Transparency Project. It’s an interactive version of this week’s documentary from Michael Kirk and his team, Trump’s Takeover, which goes inside the battle for control of the Republican Party — and which couldn’t be more timely, in light of House Speaker Paul Ryan’s news this morning that he’ll join the record number of Republicans who won’t seek re-election after their current terms end. This interactive film allows users to click to explore quotes from 16 of our key interviews in their original context. This means that when sources like Arizona Senator Jeff Flake, former Trump campaign manager Corey Lewandowski, former White House Press Secretary Sean Spicer, and Counselor to the President Kellyanne Conway speak, you can click on an icon to immediately see their quotes in the context of their longer interviews. FRONTLINE’s commitment to transparency isn’t new. In 1996, at the beginning of the internet age, we took advantage of this new medium to publish in-depth transcripts of interviews with key participants in our two-part special, The Gulf War. We did it not just for history’s sake, but because we were allowing anyone who questioned our reporting to go to the primary sources and test our conclusions. Over the next two decades, publishing interview transcripts has become a signature of FRONTLINE’s journalism — a unique feature that has bolstered the series’ reputation for fairness, accuracy, credibility and transparency. In recent months, we’ve taken this tradition to the next level. Last fall, we published “The Putin Files” — an interactive archive that puts at your fingertips all 56 interviews Michael Kirk and his team conducted for our recent two-part series, Putin’s Revenge. It’s a treasure trove of primary source material, representing more than 70 hours of footage, and it’s an enormous contribution to public discourse about a critical subject – Vladimir Putin. Now, with the launch of our interactive version of Trump’s Takeover, we’re continuing to explore new ways to open up our source material and put it at your fingertips. We hope you’ll find our latest transparency effort to be illuminating — please share your feedback by leaving a comment. 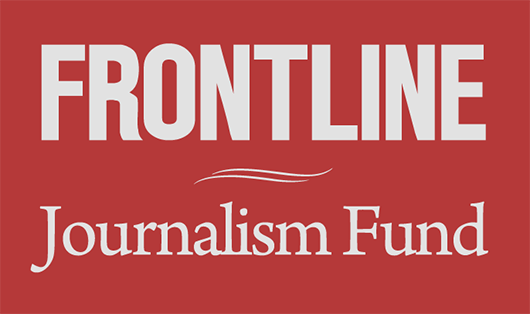 At FRONTLINE, we know this is a moment of truth for journalism. News organizations need to earn the public’s trust for the credibility of their reporting. Along with accuracy and fairness, we believe that transparency is a vital contribution to this mission. P.S. 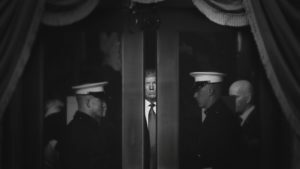 In addition to exploring our transparency efforts on our website, you can learn more about The FRONTLINE Transparency Project in several Poynter stories, on Nieman Lab and in Nieman Reports , in a feature from the Society of Professional Journalists, and in this post from PBS’s public editor. And, for more context on journalism’s trust problem, you can explore the work of the Knight Commission on Trust, Media and Democracy. I’m a member of this commission, which is charged with developing ways to deepen public trust in the press and other democratic institutions. What's Driving Republican Retirements From Congress?